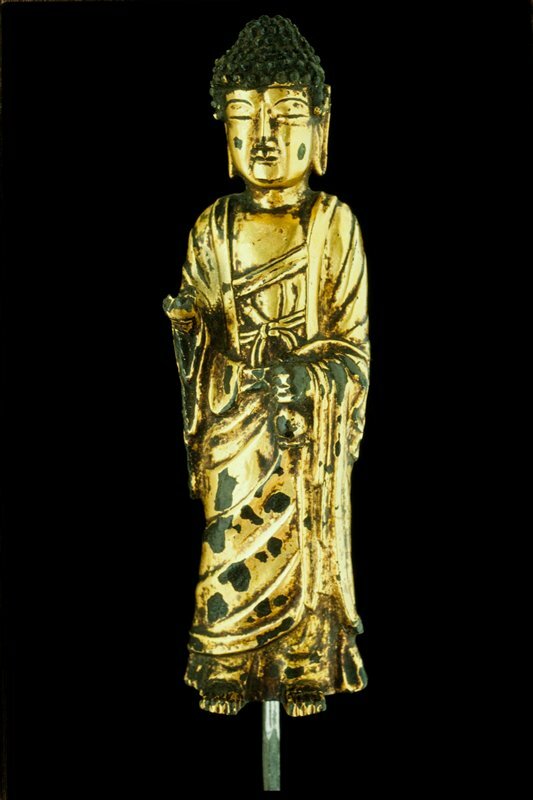 During the Unified Silla period (668–935), Buddhism was promoted not only for the salvation of individual worshippers but also for the Korean nation as a whole. Buddhist temples proliferated and bronze images were cast in great number. Artists created small statues like this for use on family altars. While earlier images reflect sculptural styles prevalent in China, the somewhat blocky proportions, stern expression, and simplified drapery pattern of this Buddha are expressly Korean.